Omar Sosa’s exploration of the shared roots of the musics of the Black Atlantic is documented in an impressive body of work. A number of his albums are regularly featured in my own personal soundscape: Prietos (2001), Sentir (2002), Afreecanos (2008), and the brilliant, transformative Across the Divide: A Tale of Rhythm and Ancestry (2009). If you are not familiar with his work, I heartily recommend that you check it out. 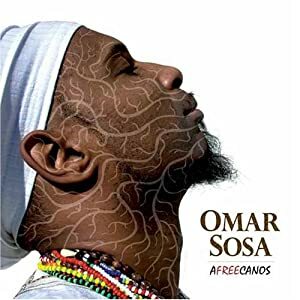 On Wednesday May 18, the Omar Sosa Afreecanos Quintet, featuring Bay Area Latin music icon John Santos, played Yoshi’s San Francisco. Below is the preview I wrote for SF Weekly. Pianist Omar Sosa is on a musical and spiritual mission. His music, steeped in Afro-Cuban and jazz influences, melds traditional and modern sounds (and aesthetics) to show the unseen threads that connect cultures throughout the African diaspora. His mission has taken him into myriad musical settings that have been documented on an impressive array of recordings. His rare stop in the Bay Area at Yoshi’s this week is a sort of musical homecoming. The Cuban-born pianist spent three years in the Bay Area in the ’90s — a period that marked a turning point in his career. “It was the first time I did what I felt,” Sosa explains in a phone interview. He began exploring the roots of African music a decade earlier, but it was here that his sound took shape. Sosa particularly admired the vision and work of percussionistJohn Santos, who was already an established figure on the Bay Area Latin music scene. 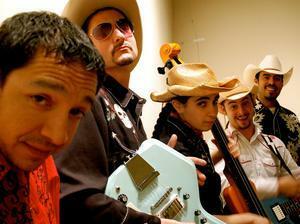 Santos became pivotal, offering moral support and hiring Sosa to tour with his Machete Ensemble. Wednesday’s show will see the two reunited, with Santos performing as a featured sideman in Sosa’s Afreecanos Quintet. Since he departed the Bay Area in 1998, Sosa has stayed connected, regularly releasing albums on Oakland-based Otá Records that document his ongoing musical explorations. He draws upon a diverse array of traditions to create an eclectic body of work. Ritual sounds of Cuban Santería orMoroccan gnawa blend with straight-ahead Latin jazz, big band horn charts, and hard bop; contemplative moments on ngoni or piano are flavored with electronic samples. Sosa’s recorded output is driven not by commercial calculations but by what he calls “spiritual messages.” When Sosa’s spirits call him to record an album, he says he has to do it right then, or “the message will kill me.” Last year, when he was in New York City with two days off, Sosa received the message that he “needed to heal himself.” So his manager found an available studio, and Omar played solo improvisations on piano, electric piano, and electronic percussion for two hours. When he finished, he had recorded the raw tracks for his latest release, Calma (2010). Perhaps not surprisingly, Sosa’s best ensemble work features a thrilling drive and intensity along with the vibrant interplay of sounds — see Prietos (2001), Sentir (2002), Afreecanos (2008), and the brilliant, transformative Across the Divide: A Tale of Rhythm and Ancestry (2009). The introspective, laid-back Calma has a different kind of eloquence, contemplative and restrained without the drive and diversity of textures that characterize his ensemble work. Sosa says it’s the only one of his albums he currently listens to: “When you feel calm, you see life in front of you more clearly. … You have time to see things and choose in the moment.” Expect a variety of emotions, along with extraordinary performances, when Sosa’s Afreecanos Quintet takes the Yoshi’s stage.